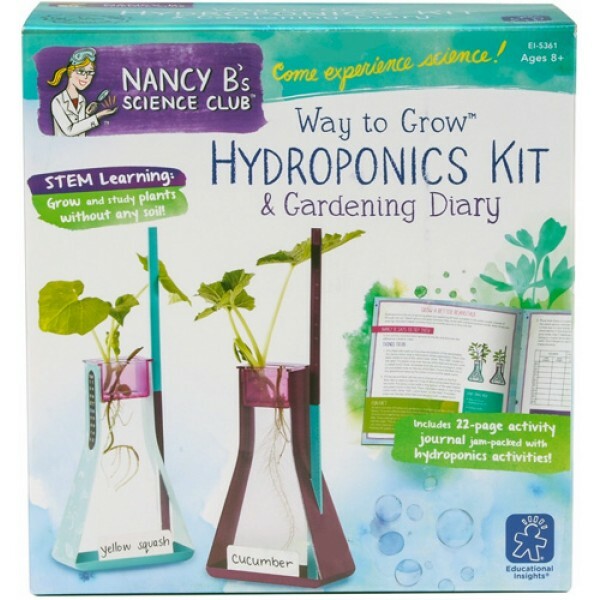 Explore gardening the high-tech way with this kit from Nancy B. 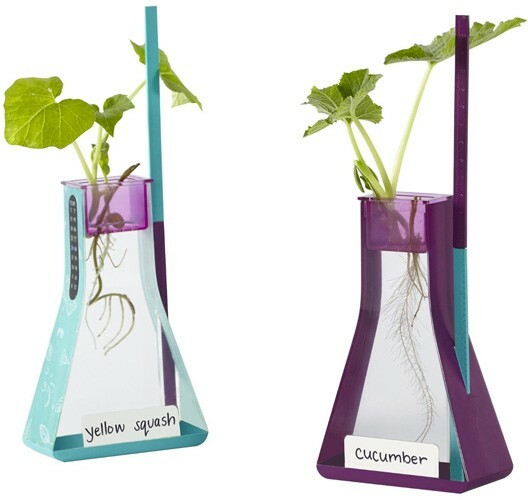 's Science Club! 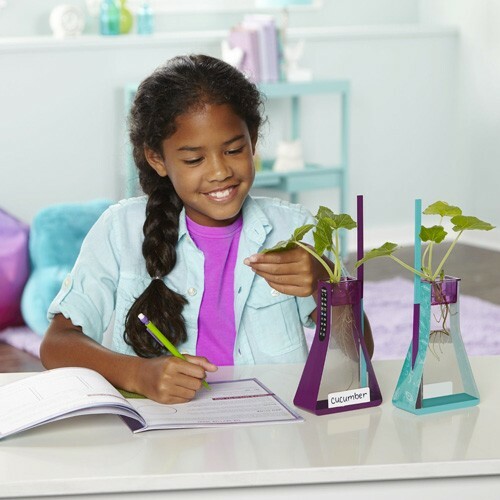 Sprout seeds, put them in the seed baskets, place seed baskets in the water-filled flasks, and watch your plants climb the trellis as they grow. 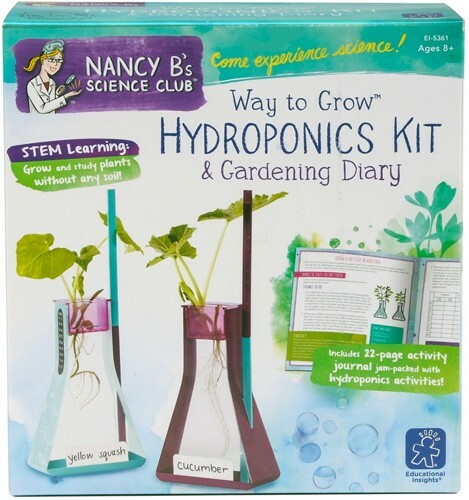 This set includes everything kids need to explore the amazing world of hydroponics, including 2 seed baskets, 2 flasks with thermometers, and 2 trellises with rulers. The included, 22-page journal is packed with experiments, fun facts, creative writing prompts, and more!